After an overwhelming demand from our users, we're extremely excited to lauch the brand new YonderTV Affiliate Program. 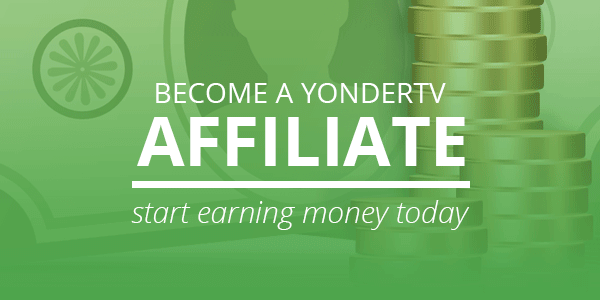 With the brand new YonderTV Affiliate Program you can earn money by spreading the good word about our service. We'll pay you 3 dollars for every single referred user who becomes our customer. Best of all there is no minimum before you can make a withdrawl. By signing up as an affiliate, you will be provided with your own personal referral link which you can post on your blog, Facebook timeline, Twitter feed, emailed or even printed on flyers. When a visitor follows this link, a cookie will be set for 90 days following the initial visit so users you refer don't have to purchase instantly for you to receive your commission. So what are you waiting for? Activate your Affiliate Account and start earning today!